This listing offers both serviced offices and co-working spaces, there are fixed and hot desks available. The office suites are finished to a great standard and have many great facilities. There are meeting rooms and conference facilities, and also plenty of on-site parking. There will soon be a cafe, gym and a creche on-site. The work centres organise lots of social activities, where tenants and socialise with each other. Flexible, fully furnished office solutions with telephone lines, internet access, reception, kitchen facilities and IT and infrastructure support. Peterborough Cathedral, city centre and Peterborough Market are all just minutes away from this location. Travel to London is easy with services from Peterborough Railway Station, which also offers services to Leeds, Newcastle, York and Edinburgh on the East Coast Main Line. Four miles from the centre of Peterborough this flexible workspace has a strategic location that provides great access to the A1. 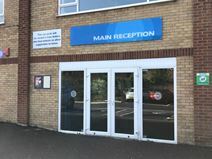 Tenants benefit from access to meeting rooms, shower facilities, on-site parking, cycle racks and a choice of serviced offices or workshop spaces. 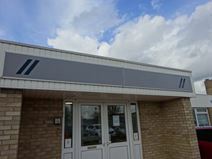 Within easy walking distance of Peterborough Station, this office space has 24-hour access and security on flexible terms ranging from six months to five years. Based in a famous football stadium, this centre offers you the chance to have a one-of-a-kind working environment. With office suites available in a range of sizes, 24hr access (with matchday restrictions) and all inclusive rate (electric, water and gas), this is an interesting proposition for any business in the Peterborough area. Other amenities include meeting rooms, dedicated internet and kitchen facilities. The stadium is around a 15-minute walk from Peterborough train station, which offers direct access to both London and Birmingham. With a very accessible location to the east of the city, this newly refurbished business centre offers a range of furnished and well-appointed office space ideal for start-ups and growing businesses. Conference and meeting facilities also available. A selection of offices of various size is available to let in this brand new business centre. These offices are provided with spacious meeting rooms, kitchens and parking facilities, state-of-the-art technology systems, cleaning and maintenance services. They are available at a very convenient price inclusive of all the services offered. 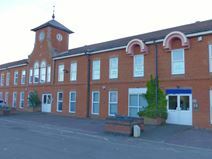 These offices are well connected to the centre of Peterborough and to the railway station. 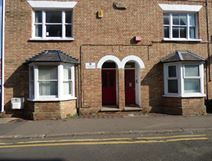 This building is situated in the heart of Peterborough's business district, offering excellent transport links. The train station is only fifteen minutes away on foot, which boasts direct services into many major UK cities. The centre is accessible 24/7 and is home to 4000 sq ft of fully furnished workstations. There are fully fitted kitchens, an onsite cafe, car parking spaces and an onsite management team. 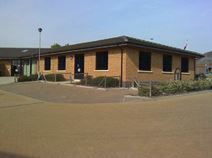 Modern, fully serviced offices are available for instant occupation at this centre in central Peterborough. 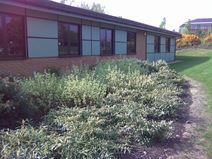 The services include support staff and reception, plus four meeting rooms that can cater for up to 40 delegates. Road access is easy from the Peterborough Ring Road, with junction 5 just quarter of a mile’s drive away. Public transport links by train and bus are efficient and close by, and the centre is right in with the local business and shopping districts. 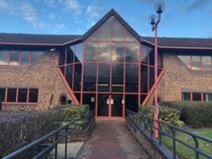 Occupying a smart building in Thorpe Wood Business Park with ample parking and lovely gardens, this business centre offers flexible office space and individualised IT and telecoms. This contemporary business centre offers high-quality offices space with business support services and car parking in the charming Thorpe Wood Business park.